Cuddles with daddy. 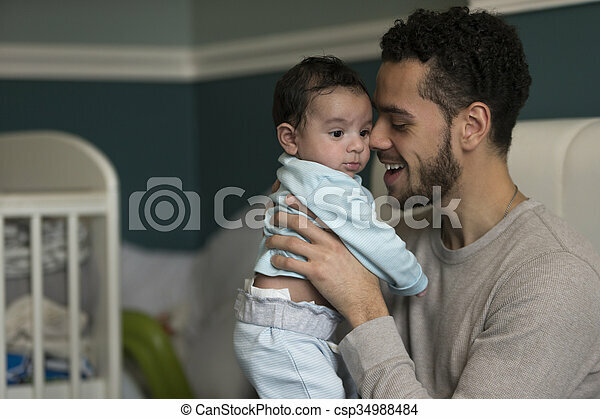 Young father sitting on his bed, holding his baby son. he has his nose pressed to his son's cheek. Young father sitting on his bed, holding his baby son. He has his nose pressed to his son's cheek. A baby with a brooding expression, being held by his father and snuggling into daddy's chest. The father's face is not visible in the picture. 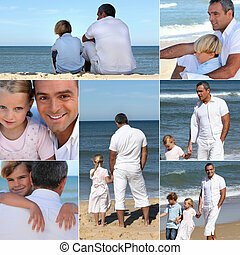 A black and white portrait of a shy baby girl clinging to her loving dad. Family Breakfast in a country house. children happily cuddling with daddy. Young father having cuddles with his baby. They are sitting on dad's bed. 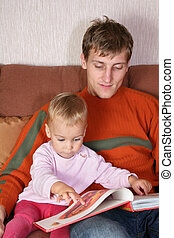 Young father sitting with his baby son in his lap. He is holding his hands and kissing him on his head. The baby is looking at the camera. Young father sitting on his bed, holding his baby son. Young father is holding his baby son over his shoulder. The baby is looking at the camera. Young mother enjoying a cuddle with her baby son, who is sitting on her lap. Clsoe up shot of a young mother enjoying a cuddle with her baby son sleeping on her chest. Young mother lying in bed with her baby son sleeping on her chest. She is smiling at the camera. Young mother lying in bed with her baby son asleep on her chest. They both have a blanket over them and the mother is looking to the side. 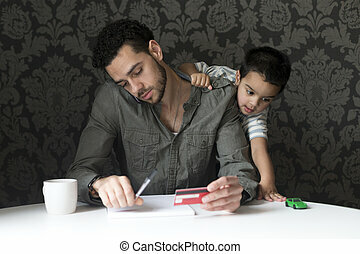 Little boy is climbing on his dad, trying to help him with his internet banking. They are sitting behind a laptop at home. Young parents giving lots of attention to their baby. They are all sitting on a bed at home. Young mother having a nap in bed with her baby son sleeping on her chest. Little girl laughing and looking at the camera. Her father has his back to the camera and is holding the girl while kissing her face. Baby girl is looking at her father while they have a cuddle at home. A mother is lying on the sofa in the living room of her home, with her son and daughter. The girl is lying on the other end of the sofa and is laughing while looking at the camera. family together on the sofa in the living room of their home. The mothers and their two children are petting the dog who is also on the sofa with them. A father lying down at home with his newborn baby daughter on his chest. 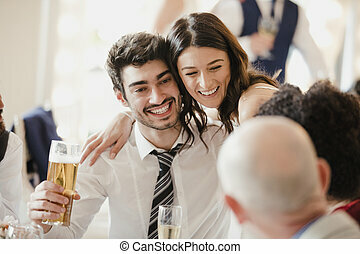 Bride is socialising with her guests on her wedding day. Young father in the kitchen, getting something out of the cupboard with one hand with his son on his shoulder. Family of four are sitting on the sofa in the living room of their home together with their pet dog. Little boy is climbing on his dad, playing with his toy car. His dad is trying to make bill payments through the phone. 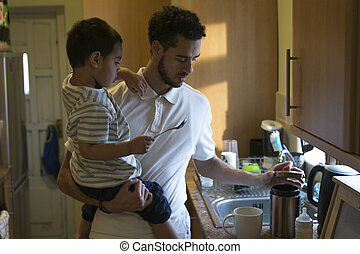 Young father making a cup of tea with the help of his son. He is opening a pot of sugar and the little boy is holding the spoon. 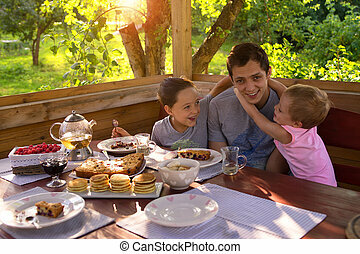 Young father is sitting at the table with his son on his lap. His son is copying his dad and exploring his curiosity by pressing buttons and looking at the screen. Close up shot of a little girl and her mother lying on the sofa together. The little girl is talking and smiling to her father who is out of the shot.